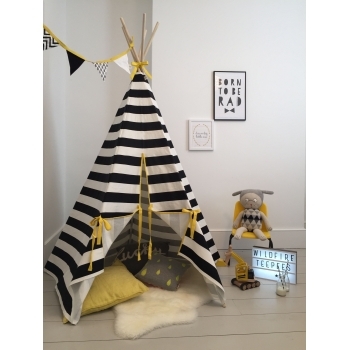 Inspired by the need to find kids toys that looked great and that they didn't mind sharing their home with, Lindsey, the founder of Wildfire Teepees, made her first teepee for her son's 1st birthday. 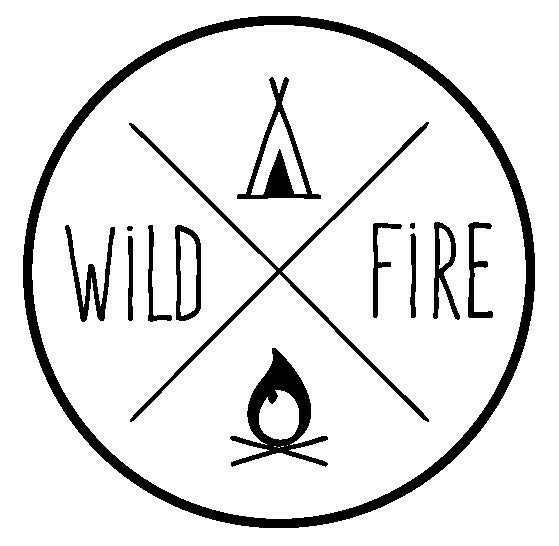 Following requests from friends and family to make more, Wildfire Teepees was born. 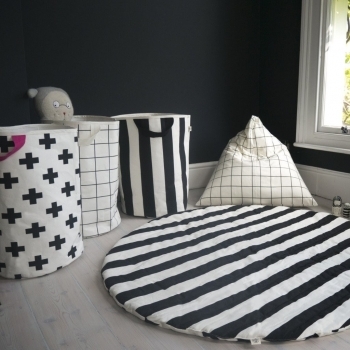 After spending the last 15 years in fashion buying and embarking on her second maternity leave, it seemed like the perfect time to start a small business and to begin to furnish the world with monochrome teepees and interiors. 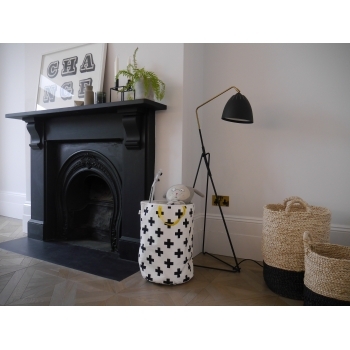 Lindsey has focussed on simple design and quality materials. 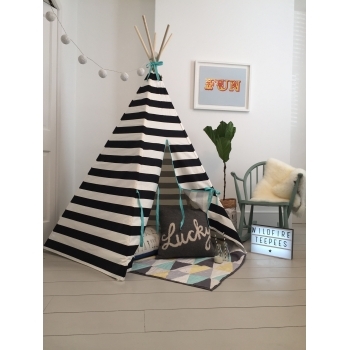 A teepee is the highlight of every kid’s room. 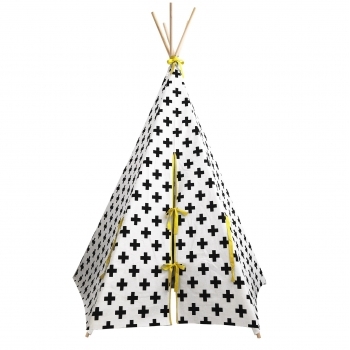 The black crosses give this tipi a classic yet modern look. The yellow trim adds a dash of colour. 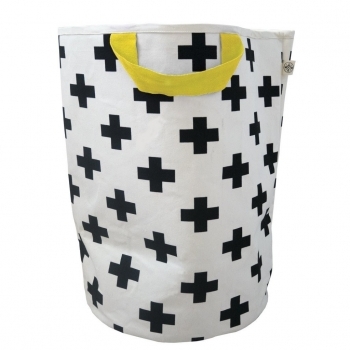 This tent is so stylish you even might want to put it in your living room. Comes with a matching slim storage bag. Please note that the teepee can only be shipped to Luxembourg! 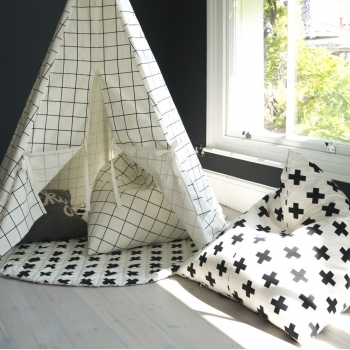 A teepee is the highlight of every kid’s room. 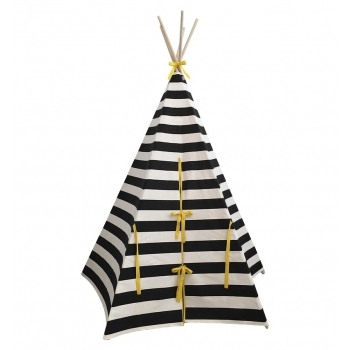 The black an white stripes give this tipi a classic yet modern look. The blue trim adds a dash of colour. 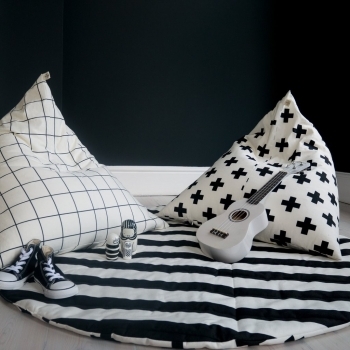 This tent is so stylish you even might want to put it in your living room. 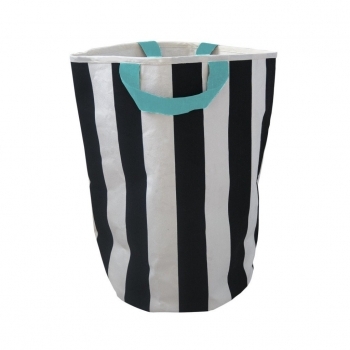 Comes with a matching slim storage bag. Please note that the teepee can only be shipped to Luxembourg! 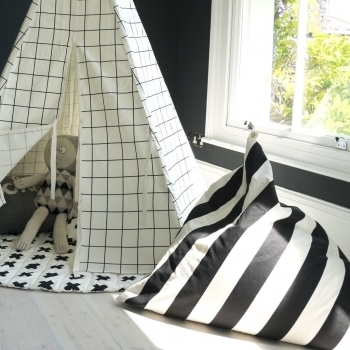 A teepee is the highlight of every kid’s room. The black an white stripes give this tipi a classic yet modern look. 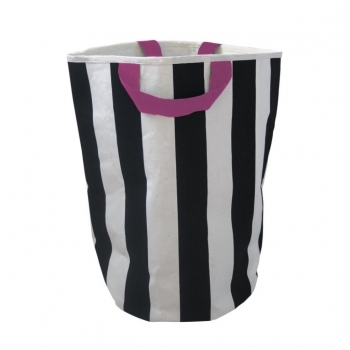 The pink trim adds a dash of colour. 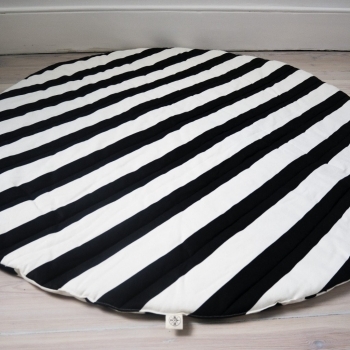 This tent is so stylish you even might want to put it in your living room. 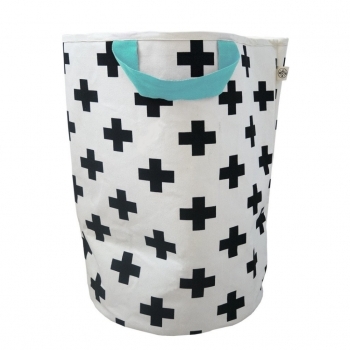 Comes with a matching slim storage bag. 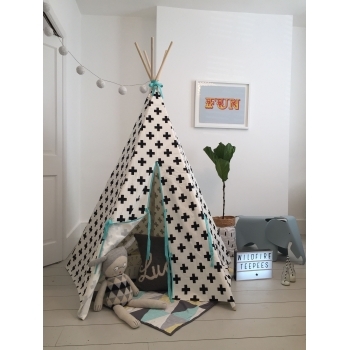 Please note that the teepee can only be shipped to Luxembourg! 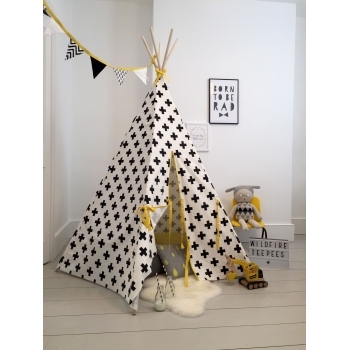 A teepee is the highlight of every kid’s room. 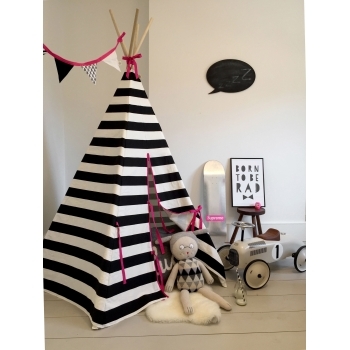 The black an white stripes give this tipi a classic yet modern look. The yellow trim adds a dash of colour. 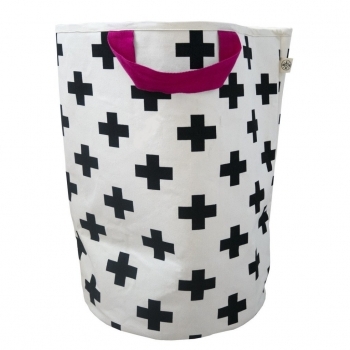 This tent is so stylish you even might want to put it in your living room. 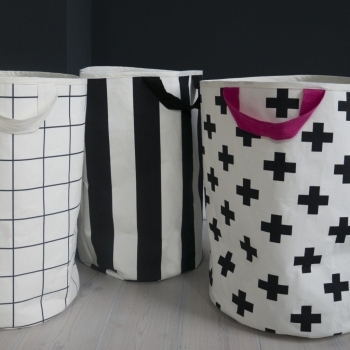 Comes with a matching slim storage bag. Please note that the teepee can only be shipped to Luxembourg!